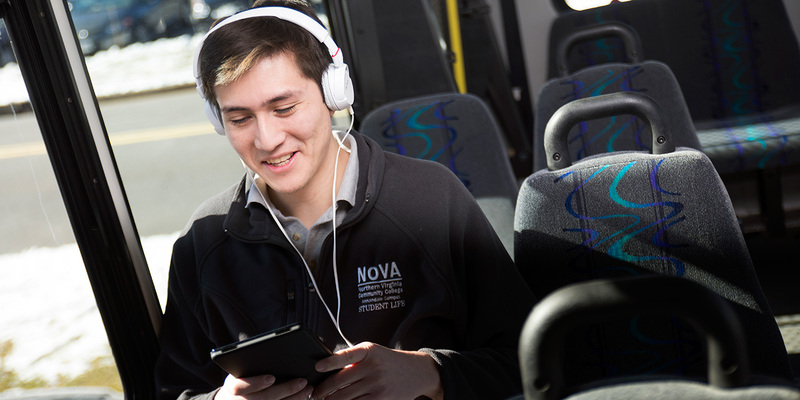 NOVA mobile apps are available to our students, faculty and staff to make learning on the go easier. You can find NOVA's official apps through the iTunes App store and Google Play Marketplace. The LiveSafe app provides direct communication between students, faculty, staff and NOVA Police, and will facilitate emergency response in critical situations. Mobile SIS allows you to easily perform most everything in the Student Information System on your mobile device. Search for classes, browse the catalog, login to SIS and more in one convenient stop. Open the link, click on the share icon and choose "Add to Home Screen"
Open the link, from menu choose Page, then "Add to Home Screen"
Get more from Online Learning at Northern Virginia Community College with NOVA’s official NOVA Online Mobile app. With NOVA Online Learning Mobile you can easily connect to a suite of free online learning tools and resources anytime, anywhere. Enhance your mobile NOVA Online learning experience with a simple, convenient and useful NOVA Online Mobile app right in the palm of your hand. Blackboard's mobile solution that helps students stay informed, up-do-date and connected. Personalization and on-the-go features, directly in your hands. Blackboard Instructor gives instructors a quick and easy way to manage courses, interact with students, and view content. With Blackboard Collaborate Mobile, you can join web conferencing sessions right from your mobile device. Take your Web meetings anywhere! Join any web conference from your Android tablet or smartphone. Meet anywhere, with anyone, and get more done. Mobile Print allows you to print from anywhere using a phone, tablet, laptop or computer. Follow the instructions on the Mobile ACEPrint website to start printing! When you download NOVA Quick Links to your smartphone, it will let you zoom right to some of the most used pages on the college website. Instead of using the search box or clicking through multiple menus, you can get right to the information you need. Click the action icon at the bottom. The shortcut to the website will now appear as an icon on your home screen. Tap the menu button and choose "Add to Home Screen". Students or visitors may pay for hourly parking at the rate of $2.00 per hour or purchase discounted bundles of hourly parking (30 or 60 hour bundles) through our mobile payment application. Those paying through the mobile payment app may park in any student “B” lot or metered space. Any remaining balance from hourly bundles may be used in future semesters. All sales are final after first use; no prorated refunds. View the NOVA Parking website at for more information. A flyer with more detailed information on purchasing the hourly bundle is available here. **Note: The Passport Parking Mobile App is not valid for use at the Medical Education Campus.